Andrew Simmons, Vanessa Leone, and Michael Cunico come together to share their excitement about being this years hosts at FILEX. As Michael Cunico would describe it, FILEX is, “Christmas time for the fitness folk,” and this description hits the spot when talking about the convention. It gives you the opportunity to grow your business by learning about things like sales and marketing, while also presenting insights about the group fitness and personal training realms within the fitness industry! These three industry leaders show how many different streams of the fitness industry weave together and work in combination to better your expertise or niche. Andrew Simmons will kick off the convention by hosting the Business summit. This opens up the opportunity for individuals who attend the convention to learn tips and tricks about how to grow your business. He has highlighted key presenters such as Bobby Cappuccio and Mark Fischer, who are coming from America to diversify the range of knowledge that will be circulating the convention. Vanessa Leone, the host of group fitness speaks to the growing enthusiasm for group fitness based on the addictive sensation of community and connection that you gain through the experience of a group class. With presentations from experts such as Emma Masters, the 2019 FILEX convention is chock full of opportunity to learn more about this up and coming fitness trend. 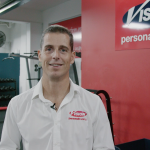 Michael Cunico, as the host for the strength summit, will be promoting the personal training and coaching aspects of the fitness industry, as well as supporting different speakers such as James Breese. Within this sector of the convention, the floor will be open to discover how the concept of exercise science and things like mobility and energy systems are crucial to the fitness industry. When you have these three experts working in conjunction with each other, there is no reason to shy away from the convention because the opportunity to gain a vast range of knowledge is undeniable.